Any Around These Reporting Requirements? Any time an investor considers buying and storing Gold offshore, or any other precious metal for that matter, the question of reporting requirements comes up. It used to be that these foreign financial accounts with companies like GoldMoney and BullionVault were only required to be reported to the U.S. Treasury on Form TD F 90-22.1, commonly called the FBAR (Report of Foreign Bank and Financial Accounts – yeah, they got FBAR how? [Foreign Bank Account Report]) on or before June 30th for the previous year (Treasury must RECEIVE report by that date). The minimum reporting threshold for the FBAR has been US$10,000 value at ANY TIME DURING the preceding year. But starting in 2012 investors with foreign financial accounts like offshore gold and silver accounts were required to guess – or pay someone to guess for them – whether they were required to report foreign precious metals accounts on Form 1040 using Form 8938, due with your tax return. We are NOT IRS Agents, Treasury Agents, CPA’s, or Tax Attorneys. Consult your own tax advisor to make sure you properly report what is required to be reported and do it on time. We are NOT advising your circumvent the law or break the law. It’s not worth it for us or you. Reporting is really not that big of a deal, do it if you are required. These new rules as of 2011 tax year are just now being finalized and like the rest of the confounded U.S. tax code, not everyone will necessarily have the same interpretation. We personally take the position of when in doubt, report; the penalties for being wrong and not reporting are just too severe. There is a list of persons excepted from reporting, but it can be confusing as they are not clearly spelled out. Note also that you may be required to report if you have SIGNATURE authority over an account. That said, there are ways to buy and store Gold, Silver, Platinum and Palladium offshore and NOT BE REQUIRED to report it! Keep reading. Again, this is based on our understanding of the law, read the warning above.You may find that your ordinary CPA, Tax Attorney or Tax Preparer may give you the “deer in the headlights” gaze when you mention Treasury Form TD F90-22.1 or Form 8938. When filling out our tax returns in 2012 (for tax year 2011) I had to hunt far and wide to get wishy-washy advice; hopefully that will improve soon, but beware. The following table attempts to give you some idea of which companies you may have an offshore Gold storage account with and either need to report it or not need to report it. Buried in Argentine Backyard No Not a Financial Institution On Your Own! 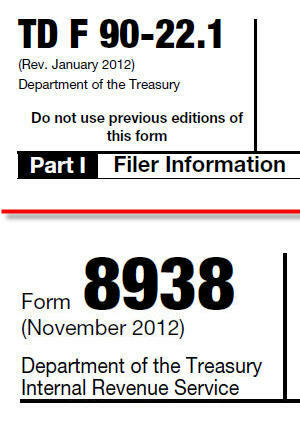 So you may have noticed that with Hard Assets Alliance and GoldSilver.com, even if you choose to store your Gold, Silver or other metal in an offshore vault, you still do NOT need to report that account on Form TD F 90-22.1 or Form 8938! 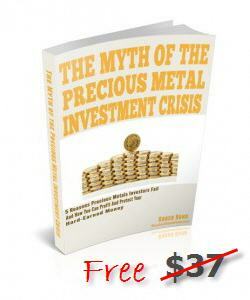 While some people find that an advantage, others want an offshore Gold account that is completely offshore. You decide what’s right for you. Just because you have an offshore Gold storage account with a “foreign” financial institution, there are thresholds that you may fall under and NOT BE REQUIRED to report. The point is that this is a complex topic, and our PRIMARY GOAL is to let you know that there ARE a couple of firms that you can do business with to setup an offshore Gold storage account (or other precious metal) and be EXEMPT from reporting requirements for offshore Gold storage accounts. We use and recommend the other companies as well, but we also jump through all the hoops to report those accounts and remain compliant. Hopefully this information has helped, if so, please SHARE IT with others and/or leave a comment below. Thanks.